Everything is better when people have a chance to connect with one another over a shared goal, so why not allow these 100 miles to connect your community? Once the 100 Mile Club is up and running at a school, it is important to keep students engaged and motivated so that they keep striving to reach their goals. Students will earn the majority of their miles at school but can also earn miles at approved community meet ups , events and local venues WITH APPROVAL OF THE SITE HEAD COACH. Many of our children have never attended a community event or any sort of group walk or run. Community events teach our kids that giving back and gathering to run together is FUN and feels really good. Participants can meet 100 Milers from other schools and even see and run with their teachers!! It is a win-win situation. We are grateful for your commitment to make our kids and communities healthy. Read the sections below and if you have any questions don't hesitate to contact us. The majority of miles in 100 Mile Club will be completed at school during school hours which can include before, during, and directly after school. Really, you can complete all of your miles at school and run quite a successful club. If you want to add some spice to 100 Mile Club, our Program Guide has some fun ideas both at school and through outside events too. They are easy, are zero to low cost, and help bridge the gap between schools, families, and their communities. Parents love to help. Together, pick a night or weekend time and go for it. An hour block of time is fine. First Tuesdays, Third Thursdays, Second Saturdays, or Fourth Fridays, whatever works for you, and then get Popsicle sticks, tracking cards, or whatever you can to track your kids miles. Musical Miles family night is a huge student favorite. Get a speaker system, and find some fun, clean, even thematic tunes and get moving! Another favorite is Themes night. They are fun, and add a little flair to your monthly 100 Mile Club Family Nights and Run-Togethers. Our Program Guide offers suggestions for every month of the year! Another way to get the community involved and other neighboring schools is to chose a nearby park or out door shopping center can often serve as a great location. Set a meet-up there once a month, once a week, or more! Another great idea that is working around the country is using the track at your local High School. They love to involve their track clubs to work with the kids. When you are ready and comfortable, consider opening your school-based family nights to other schools in your community and beyond. All you have to do is send us your schedule and we will place it on our 100 Mile Club Website Calendar. Check your Program Guide for more examples. Each community event should have a 100 Mile Club Credit Slip attached to it. These slips can be found in Appendix L of our Program Guide and are downloadable on the Coaches Corner Page on our website. School volunteers are parents and other interested individuals who want to help at school or at an offsite recognized approve walk/run Meetup to help local students earn miles. A 100 Mile Club Recognized Meet Up is an official designation issued by a 100 Mile Club school. Meet ups are planned by a local coaches, parents or organizations and are open to everyone. Meets ups can occur at local parks, malls, hiking trails, etc. where people come together and walk, run or jog to earn miles. This recognition is also an agreement, which verifies the event’s commitment to follow 100 Mile Club standards to provide a safe environment for our kids and their families. 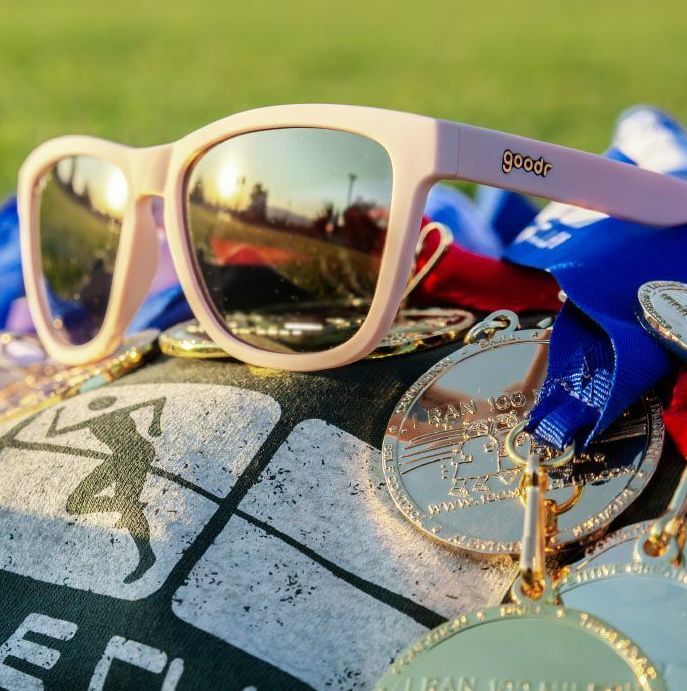 A Recognized Event also provides students the opportunity to run or walk to earn miles which will be counted towards their yearly individual goal when approved by your local head coach/school. The coordinator will offer credit slips at the end of the meet up for students to turn in their site coach. Check out our calendar for meet ups in your area. Participants should be able to check-in and receive a 100 Mile Club Credit Slip to be taken back to their school. Credit Slips can be obtained by your school coach/teacher or by contacting our national office. Remember, check with your school site coach to ensure Meet up miles will count at your local school. This is information for Race Directors, Coordinators, and Community Organizers who want to list their Race or Charity Walk on our Calendar and benefit from becoming a 100 Mile Club® RECOGNIZED gathering. Submissions are welcome year-round for activities across the country!! To be determined by 100 Mile Club® & Event Coordinators. Booth Space:In order to be approved to be a 100 Mile Club® RECOGNIZED EVENT, the 100 Mile Club will be given the option to staff (1) booth at the event for no cost to the organization to be used for 100 Mile Club® participants to check-in and receive slip to be taken back to their school or work site. The 100 Mile Club® or participating school representative may use this booth to promote its program, receive inquires, and assist participants in navigating the landscape on race day. Insurance: Proof of insurance as referenced in the application. 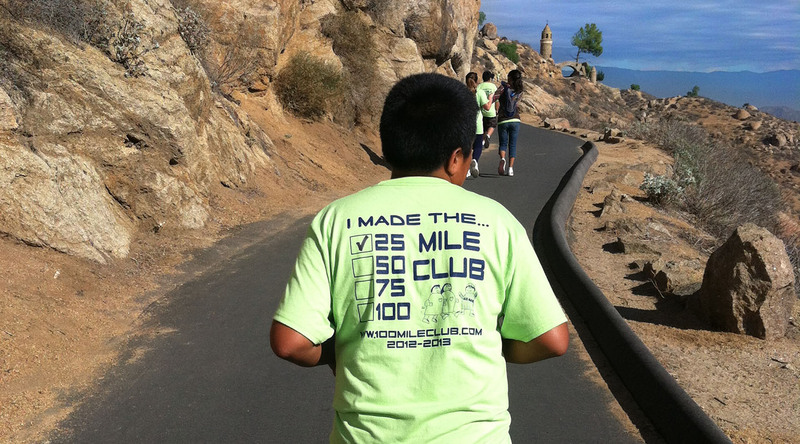 Cross-Promotion:The 100 Mile Club® logo will be displayed on event site or promotional material whenever possible. Logo to be obtained from 100 Mile Club® pending event approval. Discount Codes:A reduced rate/discount code will be provided to our kids whenever appropriate and possible. 100 Mile Club® Event Recognition may be rescinded or revoked at any time and must be renewed each year. Please respect and honor our mission, vision, expectations, criteria, and requirements. Please click the Event Criteria tab for more important information…then, click the link at the bottom of this page to submit!! If an activity meets the following criteria, it may be Officially Recognized by 100 Mile Club® pending board approval. The 100 Mile Club® is permitted to staff a booth (EzUp, table, etc…) at no cost where mile credits may be distributed. Our booth should be placed in a highly visible and centralized location so our families won’t miss us. The walk/run is at least one mile. If it is a race, there is an option to not race and still fully participate. It is open and FULLY accessible to all ages, races, and disabilities. Monies raised directly benefit local programs or organizations. We want our kids to understand where their donations are going and to physically be able to see the benefits of their involvement. It is not in conflict with other local 100 Mile Club® Recognized events. We want your event to be THE only one in your community that we promote on a given day. It is not a “politically charged” or “socially sensitive” event. Though we respect the efforts of ALL organizations to raise funds for their important causes, some of these are best discussed with our participating children in family settings. Because our mission is fulfilled through the active participation of and engagement with public and private schools and that we must adhere to certain grantor guidelines, 100 Mile Club® policy must be sensitive to and highly aware of what is displayed on our website calendar. This is a grey area (we know), but we don’t want anyone in our 100 Mile Club® to feel marginalized as a result of the mission of any of our Recognized events. We’ve updated how the submission process works! Go back to the main calendar page. Click the BLUE "Add Event" button right at the top. Fill out the information, read and acknowledge the disclaimer, and you’re good to go! If you have a repeating event, just make the date of the event the first day, and write in the description how it repeats. We’ll take care of the rest.